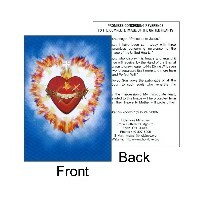 Prayer Card: Complete Image of the United Hearts with Promises.Pack of 10 cards. 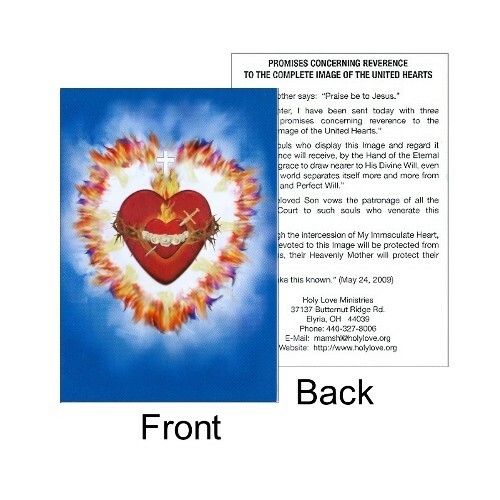 Our Lady has revealed the Promises attendant to the grace-filled image of the Complete Image of United Hearts as a union of the Immaculate Heart of Mary, the Sacred Heart of Jesus, and the Heart of God the Father. Size: 3.5 in. x 5 in. Pack of 10 cards.